Home» Tutorials » Dreamweaver » PayPal vs. Amazon Payments vs. Google: What’s the best eCommerce option? 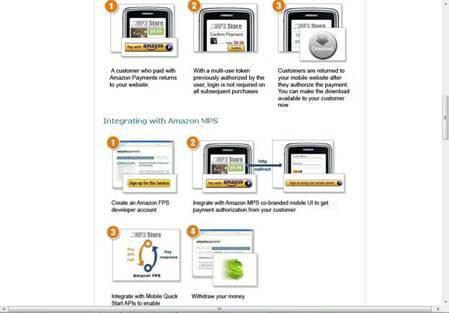 If you’re looking for a simple ecommerce solution for your website or blog, PayPal and Amazon offer great options. I used to recommend Google Checkout, but Google is closing that service down Nov. 2013 (more on that below). PayPal wins the game when it comes to supporting international customers. If you want to be able to accept as many different currencies as possible, PayPal is your best option. It’s highly customizable and offers everything from simple one-click buttons to high-end transaction services you can integrate into most of the popular shopping cart services. At the high end, you need quite a bit of technical coding skills to tweak PayPal’s API to work with third-party shopping carts, but PayPal has been around for a long time, so you can draw on a large international developer network when you need help. At the low end, you can easily add PayPal buttons. As with Amazon, the PayPal brand is the one your customers see on each Buy button when it comes time to make their payments. PayPal has also created some extremely powerful and extensible technology to allow people to transform their cellphones into wallets. And because PayPal is owned by eBay, the integration between the two services is quite good. If you’re selling your items through your eBay store, this may be all you need. PayPal has also introduced an app for the iPhone that allows users to transfer money directly from one phone to the other, simply by bumping together the two phones. Learn how to add PayPal to your web page. This powerful and flexible payment engine allows users who are already familiar with, and trust, the Amazon brand to purchase goods from your Web site using their Amazon customer ID. The advantage is that Amazon has established itself as one of the biggest retailers on the Web, and its technological backbone is very strong. The downside, however, is that your customers have to already have an account with Amazon; otherwise, they’re forced to create one when they make their first payment. As you can see in teh figure below, the Amazon brand is all over every page (on the buttons, in the colors, and in the typography), which helps your customers know they’re dealing with a reputable firm — but that also means Amazon promotes itself all over your site. Still, if you sell digital downloads, such as ringtones, MP3s, videos, or pictures, Amazon’s payment and pricing system is innovative and robust. And if you already sell your stuff on Amazon, it’s very easy to integrate the links and payment system on your Web site because customers who have already paid with Amazon at your m-commerce store can buy with just one click. The Amazon site has detailed instructions for both amateurs looking for the simplest solution and seasoned developers looking to customize. UPDATE 7-2013: This article no longer covers Google Checkout because Google announced that it will discontinue the Google Checkout service in November of 2013.